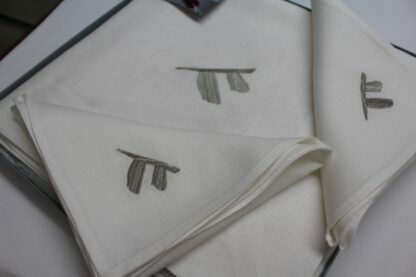 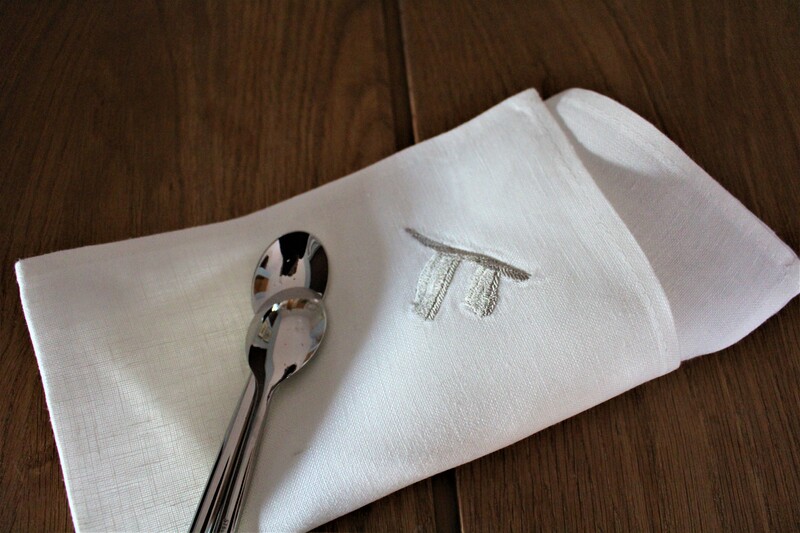 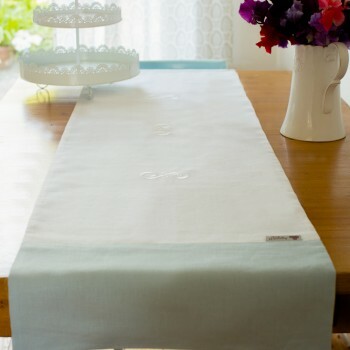 Home / The Heritage Collection in Irish linen / Irish Dolmen linen dinner napkins. 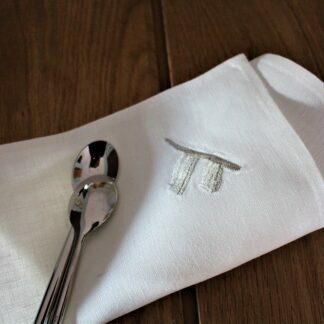 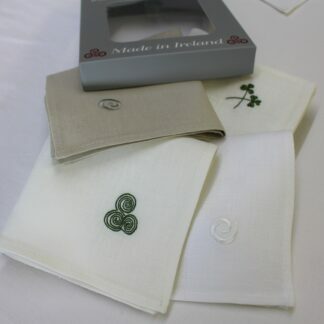 Dinner napkins in ivory and embroidered with Pre- historic dolmen from Ireland. 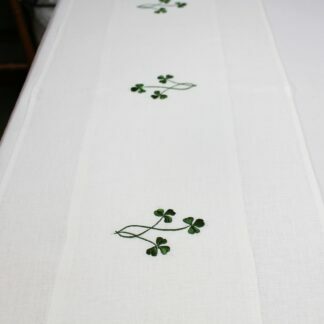 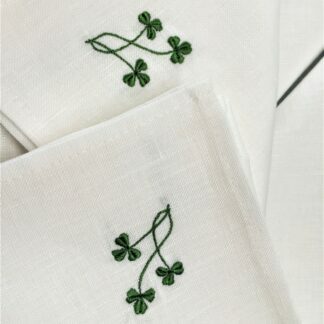 Three little Shamrocks/ dinner napkins in ivory Irish linen. 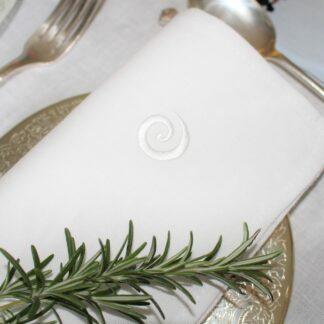 Newgrange swirl in white threads on white dinner napkins.